Thank you again Dee, you were fantastic throughout and your advice was spot on. I felt extremely comfortable with you and thank you for making the process simple enough for me to understand it all and quite unstressful. You guys were fantastic and the work you have put in, meritorious. This is easily evidenced by the outcome of the case. I want to thank you most sincerely for acting on my behalf and for the advice which led to me receiving a settlement which I am very happy with. You and Irene helped me go through a very difficult process and come out the other end intact. I am so happy I came to you. Once again thank you, to you and Irene for your professionalism and for your advice and for the satisfactory outcome for me. For a recently concluded Financial Dispute Resolution that Dee was handling, Counsel who was appointed said "Counsel is grateful for the instructions on this case and especially grateful that the Form E, Statement and preliminary documents were prepared to a high standard. A huge Thank You to Dee Popat for her level of care and professionalism in the handling of our UK immigration case. From the first contact to the conclusion of our case, Dee was incredibly thorough with the large amounts of paperwork we had to provide, and we have nothing but praise and appreciation for the genuine care and patience Dee had for our many questions, and at times last minute requests! We would not hesitate to recommend Dee, and James Berry Associates to anyone needing assistance with any aspect of UK Immigration and Family Law"
Thank you for your pleasant and professional reception. I will surely use your services again if required. During my divorce, I have turned to Dee for help, advice and assistance. Dee’s responsiveness, knowledge were extremely helpful during this challenging period. She kept me focussed and provided sound advice. Dee was always engaged when needed and was always super responsive to all the queries and questions I had about either the divorce process or the documentation. I always felt that my needs were addressed and attention given to me. I could not have wished for better support than the one I received from Dee. I would wholeheartedly recommend her to anybody who needs professional input in such a tough time as a divorce. Dee, Thanks for your helpful and efficient assistance. 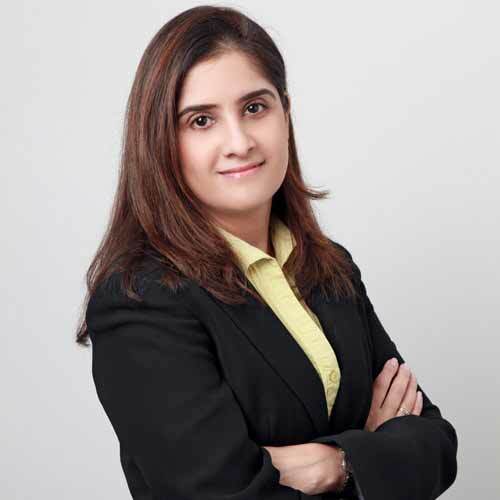 Dee Popat was extremely helpful in guiding me through the process of preparing a prenup within a very short timeframe, and I would gladly recommend her to anyone in need of support from a family law specialist in the UAE. Previously in the event of a divorce, a wife sponsored by her husband had to either leave the country or obtain a residence visa in her own right*. In the case of a husband's death, the widow could stay in country until the expiry of her current residency visa. Dealing with the death of a loved one is an emotional and harrowing process, and at this difficult time, one needs to ensure that the legal and formal requirements following the death are adhered to at each stage, especially in UAE. The procedures differ depending on whether your loved one passed away at home, in hospital or elsewhere and therefore you should contact the relevant Embassy / Consulate to seek the appropriate advice. It is worth noting that only after the formalities have been completed and the death has been registered with the appropriate authorities in UAE, will you be able to proceed with the funeral arrangements. Know about the custodial rights of children in the UAE, the Sharia Law, and the Wadeema Law. Child custodial disputes are decided based on the Sharia law. The Wadeema Law lays down the rights of children and how you can protect them. The adoption process for each country varies and you should ensure that you have all the information to assist you with the process in the country of adoption. With the growth in the expat community and the mingling of people from different faiths, mixed marriages are inevitable. There is nothing wrong with mixed cultural marriages, but as we all know too well, there will always be the old school thinkers who may not approve of or endorse such unions. Depending on your nationality/religion, the rules and procedures will vary. If you both belong to the same religion, you should not experience much difficulty however, if of different religions, you may face some problems. If you’ve lived in the UAE for some time, you’ll be all too aware of the various paperwork that is required to make your stay legal; medicals, residency visas and Emirates ID cards are just some of the things that you will have obtained during your first few months here. Wedding planning is fun, exciting, and one of those rare opportunities when you can ‘shape’ exactly how you want your day to be, from start to finish. However, beyond the love, joy and happiness, a legal shift is taking place, changing both of your official statuses from ‘single’ to ‘married’. We live in this ideal world where everything is perfect !!! or is this a misconception ? Dee understands the sensitive issues surrounding the breakdown of a marriage and the impact it can have on the parents and their children, and uses her considerable experience to find an acceptable way forward. She is a good, compassionate listener who realises the importance of allowing the client to vent and express their emotions during the divorce process. She crafts a personalised approach according to the needs of her clients. She has successfully dealt with numerous cases, including situations where the spouse controls the family finances and is able to suggest solutions to enable her clients to find a resolution. She is passionate about her work and is dedicated to ensuring the best possible outcome with a view to avoid contention where possible. Dee studied law at London Metropolitan University (formerly London Guildhall University) and started her legal career at a London based firm, becoming a specialist in Family Law. Dee has gained extensive experience, having practised family and divorce law exclusively for over 15 years. She became a member of the Law Society’s (England & Wales) Family Law Panel in 2010. Dee is on the expert panel list for www.bridemeclub.com which is UAE’s premier online information resource, for UAE based brides-to-be and brides. Dee provides a fortnightly Matrimonial clinic at James Berry & Associates at API Tower, Sheikh Zayed Road. If you or anyone that you know is experiencing family issues and require advice on the next step, please contact us at family@jamesberrylaw.ae. or call us on 043317552.